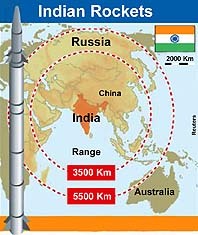 India today test-fired its most advanced intermediate range ballistic missile Agni-III but it developed a snag and fell into the sea off the coast of Orissa without hitting the target, defence sources said. Should the Centre’s disinvestment plans be allowed to be put on hold? Incessant heavy rain over the past 24 hours caused flash floods in several tributaries of the Sutlej. 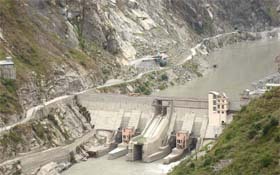 A view of the 1100-MW Nathpa Jhakri Dam Project in Kinnaur district, where power generation has been hit for the third time in the past seven days due to heavy silt in the Satluj. Workers of the Shiromani Akali Dal (Amritsar) (SAD-A), including district president Anup Singh Sandhu and vice-president Harjab Singh Daad were roughed up by activists of the Shiromani Akali Dal-Badal (SAD-B) outside the Circuit House here today. 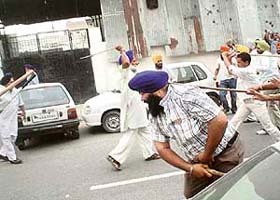 Akali workers clash with each other in Ludhiana on Sunday. Family members of two jawans found dead on sentry duty under suspicious circumstances in their unit in Jammu and Kashmir have moved the Rajasthan High Court, alleging that the Army is trying to cover up the incident.